The picturesque village of Nant grew up around the abbey, built in 1135, by monks who began the agriculture of the area and built a monastery in 926 out of which the later abbey was built. Sadly, the monastic buildings were destroyed during the religious wars but flourished again in the 17th century. Local fairs and markets were hosted in the village square and the Eglisle Abbatiale of Saint Pierre de Nant, built in the 12th century, contains stained glass windows by the artist Jean Hugo, who lived in the nearby Durzon valley. 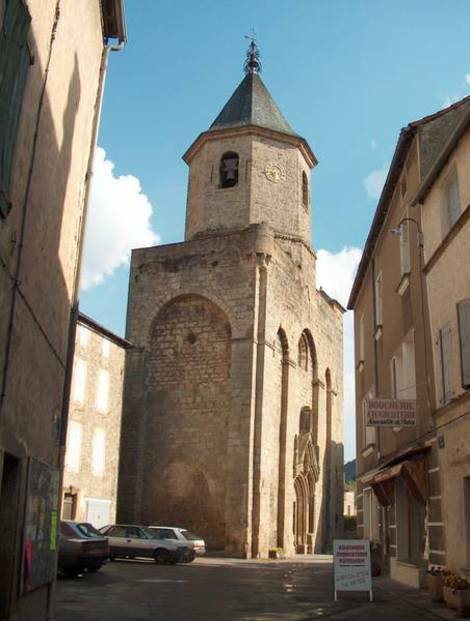 The church is a Romanesque abbatial with 121 columns supporting the central nave, all topped by capitals carved in white sandstone representing the ewe which is the heraldic animal of Aveyron. Nowadays, the old market, ‘Les Halles’, built in 17th century, contains arched halls in which the local farmers sell their produce ,including fresh Roquefort, perail and tome cheeses as well as honey, fresh herbs and cooking oil. One of the best ways for newcomers to the area to explore is by horseback or mountain bike, combining the fresh air of the mid Pyrenees with a healthy dose of exercise!